Considerations when ordering your first non-off-the-rack pen holder. There are so many. Do I go and find a handmade pen or Etsy? Do I get one on Instagram? Do I go custom? How Custom do I go and how on earth do I choose a maker and design. 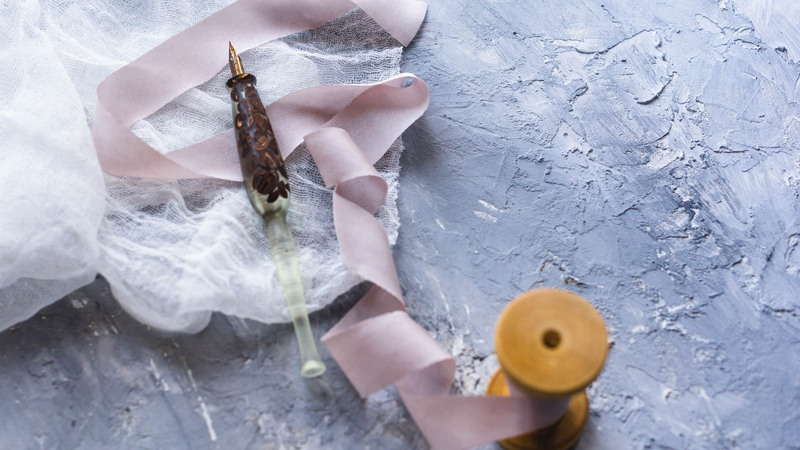 Whether you already have a bunch of handmade pens or are looking to make your first purchase perfect – this post is here to give you some insight into how my process has changed as I have started to build my collection. I feel like I am now at a point where I know exactly what I want from my pens and what I want my process to be like. I know how to start a conversation and end up with a pen that brings me joy every time I lay eyes on it. 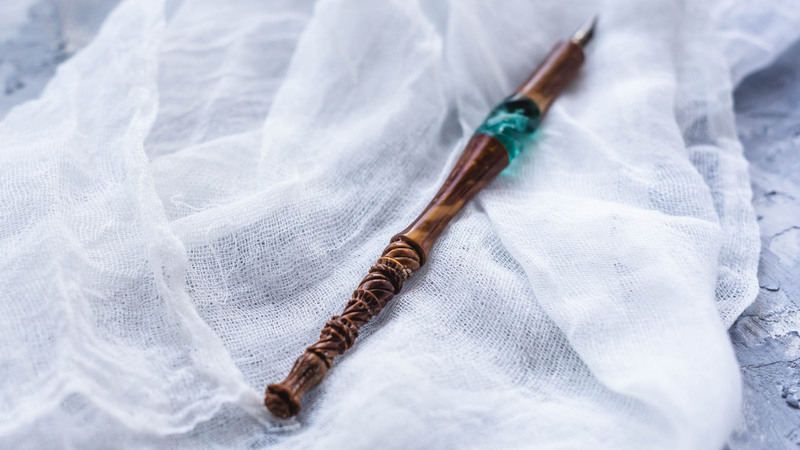 When to get your first handmade Pen? This is a question that many people end up asking themselves. 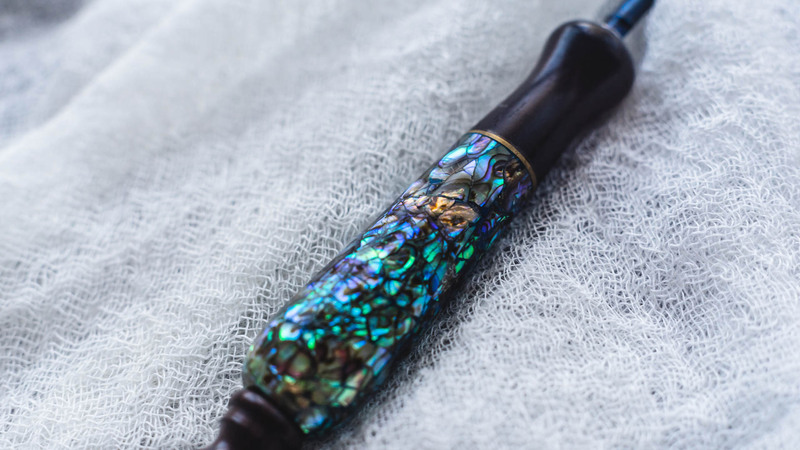 When you first stumble into the lettering world you will see a lot of people already deep into the hobby and chances of them using a gorgeous custom pen are pretty high. One of the things with handmade pen holders compared to mass-produced options is that the prices are higher, because you will get something unique, something handmade. Don’t expect a good pen holder to be cheap. You can get a functional holder that gets the job done well for around $2. 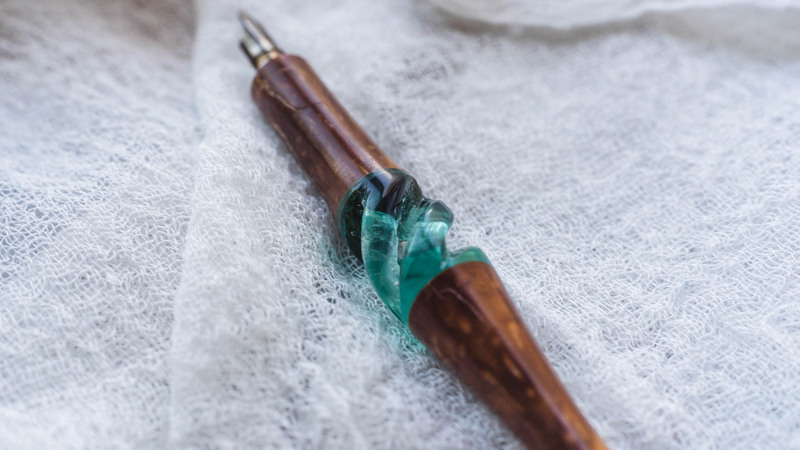 A handmade pen will start at around 30 and can run into hundreds of dollars. If you are just starting out, I really would not recommend a handmade pen. I decided to order my first custom pen (which ended up being my third handmade holder that I would own) the moment I realized there was not a day where I didn’t pick up a pen for months straight and Calligraphy was always on my mind. 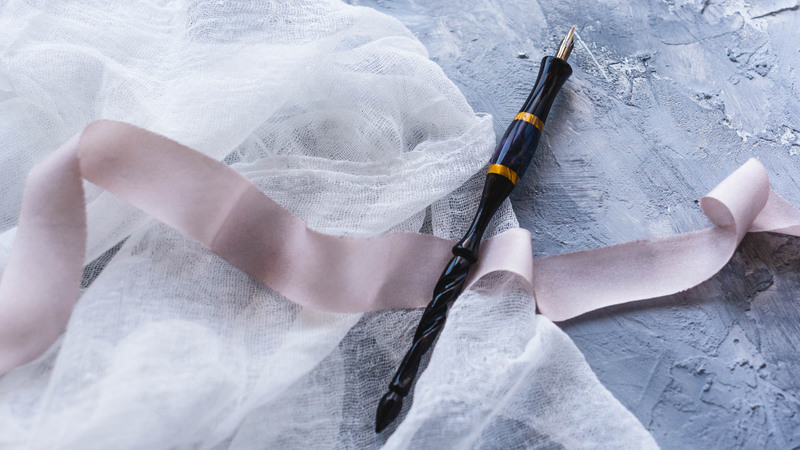 Of course, if you have the budget to get a handmade pen of the start and want to invest before you commit you are free to do so, but I personally don’t recommend that. I have talked more about this in my Pen Holder Blog post, which you also find in this series, but I felt like since I am now writing a full post on this subject, it is worth mentioning this again. However, if you find yourself in pain from the standard pen holders due to health issues or weird pen grips, then looking into something handmade/custom is a good option and talking to an experienced maker would probably help you out. I intentionally decided against calling this blog post custom pen holders because customization is one of the things to consider. 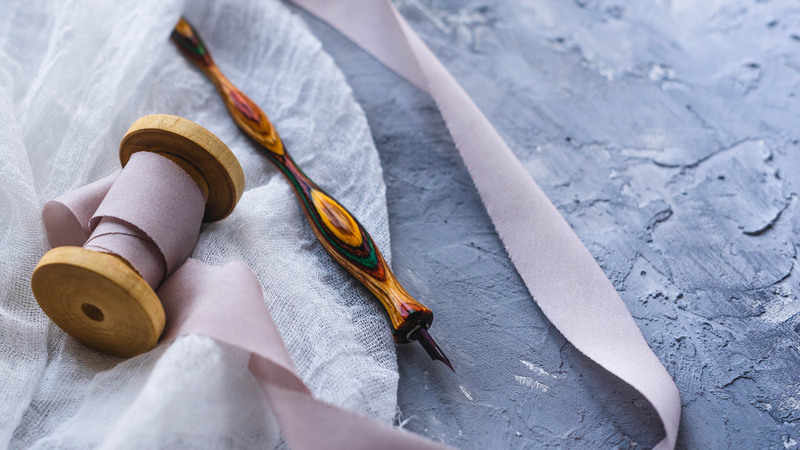 Yes, you are buying a handmade pen, but just with every kind of art buying process, there are differences. 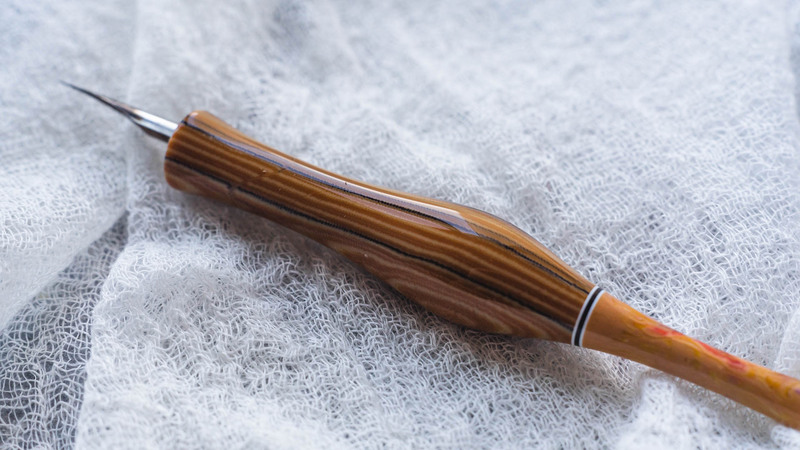 Some makers will produce pens from their own design and make them available in their shops. They choose material and shape and all you do is buy the piece. 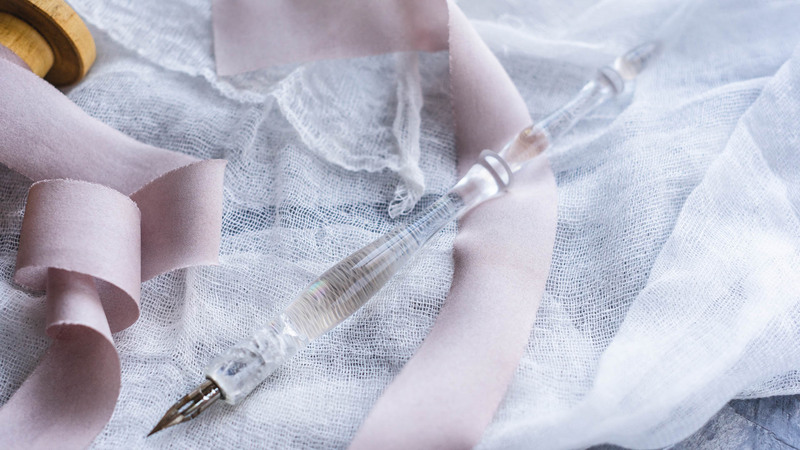 This process is the fastest way to get your pen since the end result does already exist. Also, it is one of the safest ways, because you see the pen before you buy it. 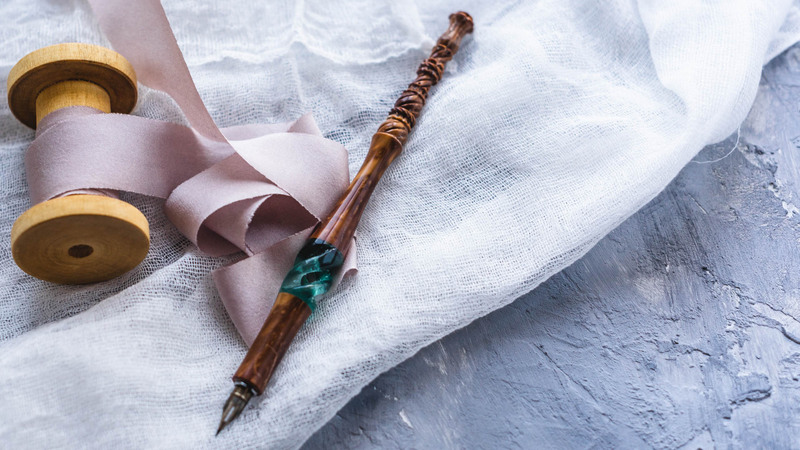 If you order a custom pen, you mostly rely on imagination and the fact that the maker exactly understands what you want. 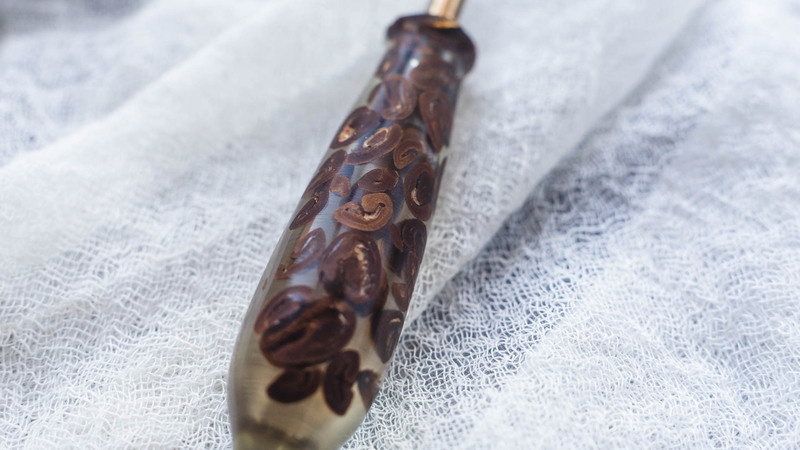 I have ordered a pen off of Etsy. I have ordered semi-custom pens where I chose a signature design, I have given the maker complete design freedom and have ordered exact pens including every single measurement in millimeters. I do enjoy all of these processes and I would never call one of these better than others. 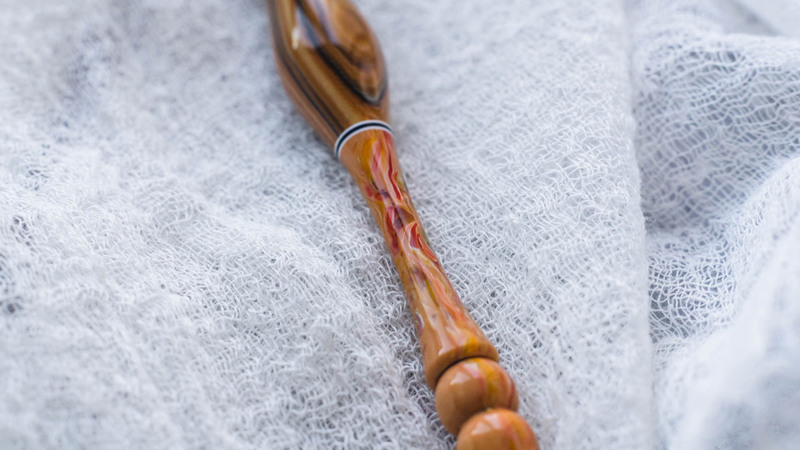 The first pen I ever ordered was a fully custom Yoke Pen, where I drew up the design and chose all the woods. This pen did not exist before and after all the details are confirmed I got on the waitlist (which is very long for Chris’ Pens) so I knew it would take around ~3 months before I got the pen. Before that pen (and the second one from Yokepencompany I added to the order a few weeks later) made it to me, I got a few other pens. 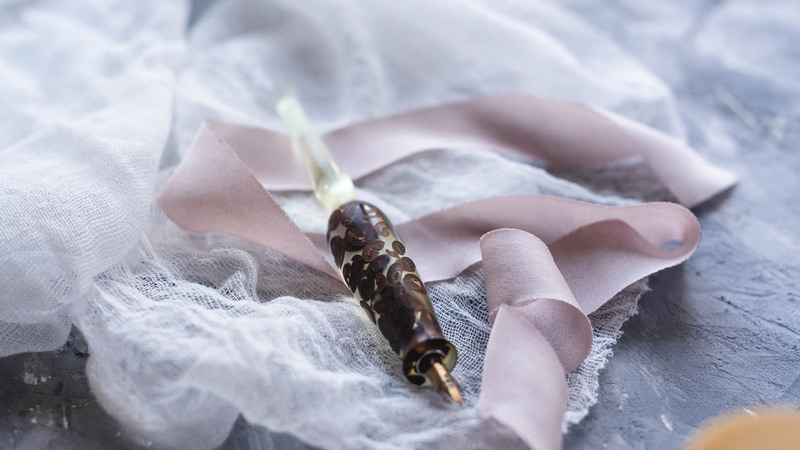 The first handmade pen I ever held in my hands that was mine was a pen from Milescalligraphy made of vintage Lucite and Galalith that I had found on Selim’s Etsy Shop and just instantly fell in love with. 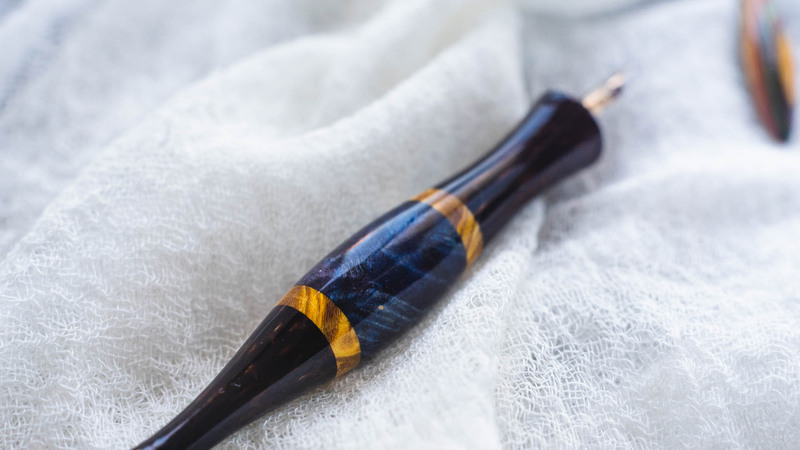 I have mentioned health issues that may lead to a custom pen order, but also when buying a handmade pen off of a maker’s shop, having an idea of what a pen will feel like in your hand is a good idea. People know that I have ordered three custom pens from Chris Yoke by now. Chris is known for allowing you to specify exactly how your pen looks in numbers. As far as I know he is the only person to offer full-custom pens. But with great power comes great responsibility, which I feel like is why quite a few people have reached out to me and asked how I decided on all those numbers for my custom orders. Chris’ FAQ page actually gives you a great suggestion of how to find the perfect setup for your grip section. I personally had a pen holder I really liked from paperandinkarts (Turn of the Century Holder, unfortunately no longer ships internationally though). It was slightly curved at the body and I liked the grip, but it was not perfect yet. I imagined that if I widened the body and foot a little and made the grip section slightly thinner it would feel better and miraculously I seemed to have exactly matched my perfect grip section. If you don’t necessarily want to go a fully custom route, I still recommend considering the type of grip that you like. For me personally I prefer thinner pens, other people like their grips to be thicker. Having an idea of the grip sizes you want to get more of, will help you in making a decision especially for the makers that have signature styles that feature specific grips, inkmethis for example is known for rather thick grip sections, whereas Milescalligraphy makes thin pens by default. I personally own a variety of grip thicknesses and I still love using my inkmethis holder even if it is quite a lot bigger in diameter than a grip I customized for myself. It’s like I enjoy using a Crayola but also a Fudenosuke pen, I do enjoy the variety and whenever I am practicing I switch it up every so often because I feel like it helps me not cramp up and also since I do have quite a few pens I want to get use out of all of them. This is a very important thing to consider and something I wish I had thought about earlier. I have unfortunately gotten pens that have suffered a little. 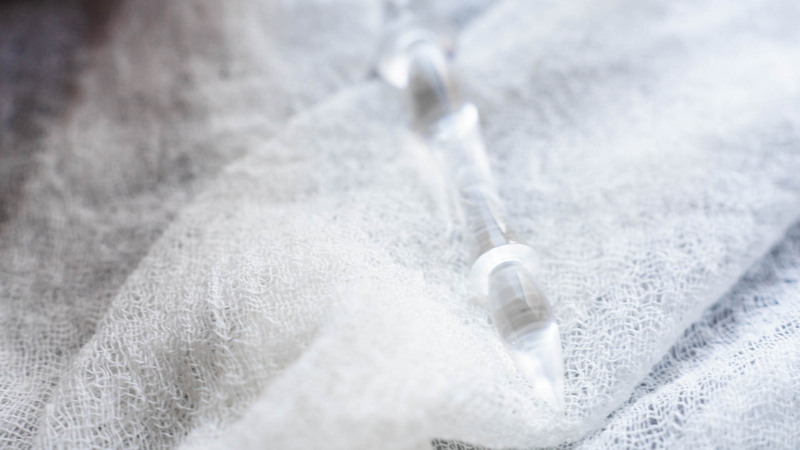 Especially with organic materials they do react to temperature and moisture. One of the pens I got from Kalemkes is made from Kuka, which is a type of nut native to Turkey. After it had been with me for a few weeks it got tiny fractures because the environment must’ve been different. None of these tiny fractures are noticeable when touching it, so I don’t have an issue with it. My Holder I got from Mpoblique started to get cracks on the inside of the grip section a little less than a year after I first got it. We had some very big drops in temperature that year and I had carried my holders outside where it was almost -10° C and then had them in my very warm apartment. I assume that must’ve caused the cracks on this type of acrylic. The cracks are internal and are not felt on the outside, but they are visible. This is not something that could be fixed. 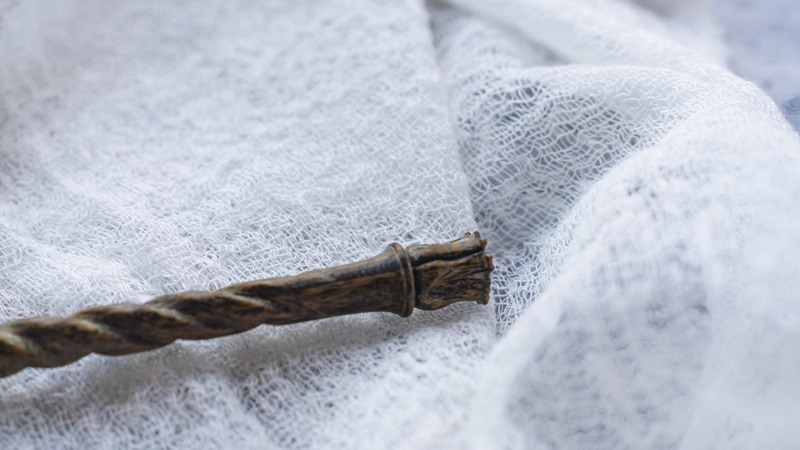 My first Yoke Pen (the one I actually drew for) is made of Black Palm wood. This wood is native in Hawaii and generally warmer climates. Last winter it was also in my pen case and had a huge split down the grip section. 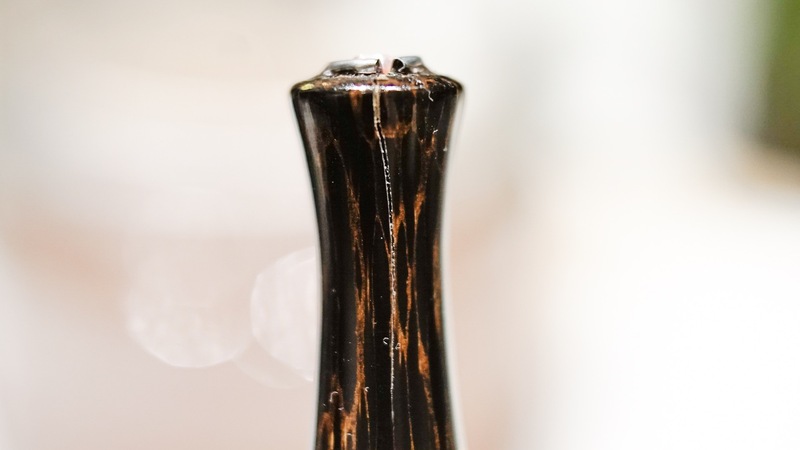 Now this type of problem could be fixed, Chris was able to close the crack and restabilize the wood and now there is not a single indication left of what happened. 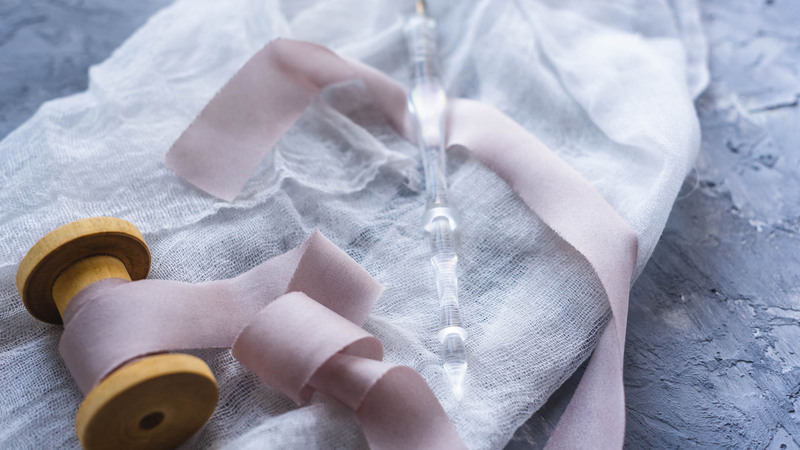 Having had three different “difficult” materials to work with that changed with time and environmental changes has rendered me more conscious of the materials I choose for my holders. By now I personally prefer wood over acrylic because I know in case something happens to it, chances of it being fixabe are higher. I believe that buying a holder like this is a long-term investment. I want my pens to last as long as possible and thus I try to choose a material that will fit the environment I am in. Of course I am not an expert in this so it could always happen again, but I try to stay away from very brittle wood. If you live in a difficult environment like a place that is very humid or a country where temperature fluctuates a lot I would recommend thinking about your materials not just in an aesthetic way (these three affected pens use 3 of my favorite materials, clear acrylic, black palm wood and this kuka nut that has an amazing texture so them being a bit fussy still kind of breaks my heart). 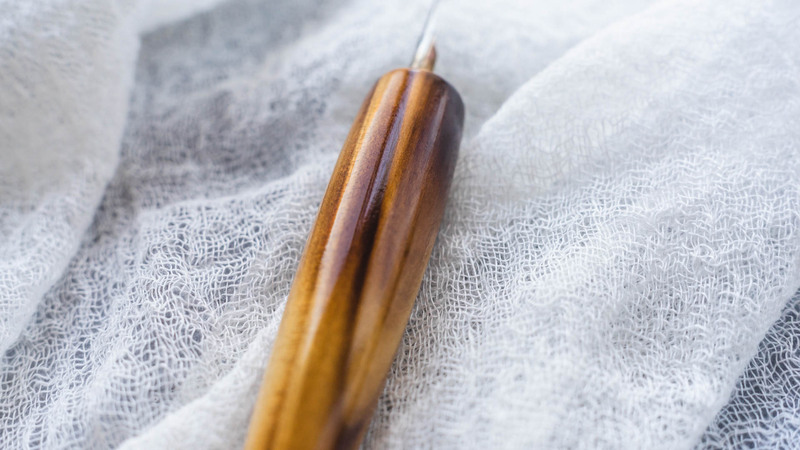 This is mostly a consideration when you are dealing with oblique pens since there are different flange types and depending if you want to use a very small or very large nib in your holder, the flange angle might have to be adjusted slightly. There are bullock flanges, standard flanges or some “modern” ways of how obliques hold nibs in place. For flanges it is very usual that they are glued into the pen and cannot be replaced. For straight holders, there are not that many options. There are a few (I cover those in my pen holder post) but by far the most standard solution is using a metal ferrule. The difference between a ferrule and a flange is that the prongs in the ferrule do rust more easily and they can lose tension. This means a ferrule is something you might want to replace at one point. I know most people do not think about replacing ferrules, but ever since I accidentally had a holder sit in water and then rust off completely in the ferrule I am hyper conscious of ferrules being “perishable”. 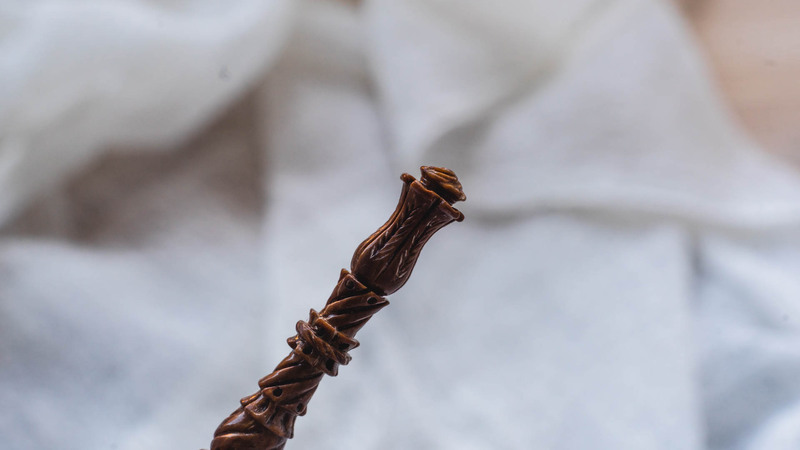 Pen makers handle ferrules in different ways. I know some of my pen holders have glued ferrules, others are completely loose in there (mostly because I have asked for it specifically) and some use a tiny bit of glue that can be broken with a knife to replace the ferrule. Since I care I have gone on to asking every maker I order from beforehand if they glue the ferrule in and if they usually do, I ask them not to for me because I am paranoid that way. Once you are done considering all the considerations it is time for the hardest question of them all. What Pen Maker do you order from. Depending on the types of things you want, certain pen makers might be more suitable than others. I feel like letting the pen dictate the maker is way better than you trying to get a maker to produce a pen they don’t want to make. Like I personally would never ask anyone else to do a hand-carved pen other than Kalemkes. 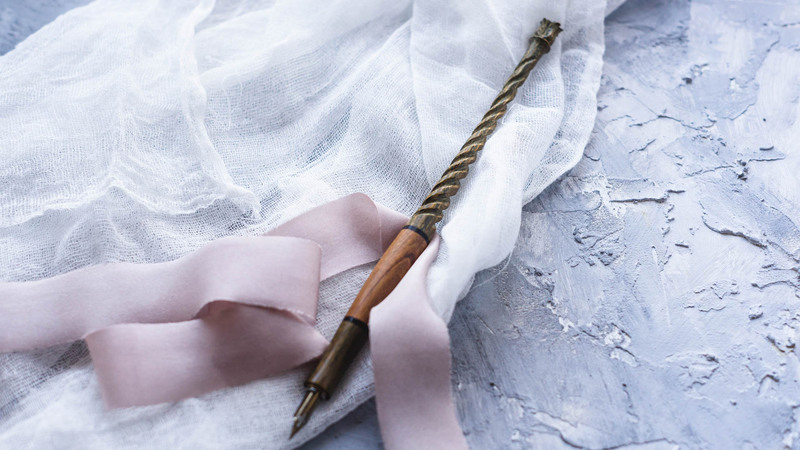 I would not ask Milescalligraphy for a Holder with a very thick grip and I would not ask Inkmethis for a thin pen. Once you know what you want from your pen, you look for people that can make that pen. And then you decide if they might have already made that pen or if you need them to make that pen specifically for you. This step in my opinion is the most crucial as soon as you go into the customized spectrum. 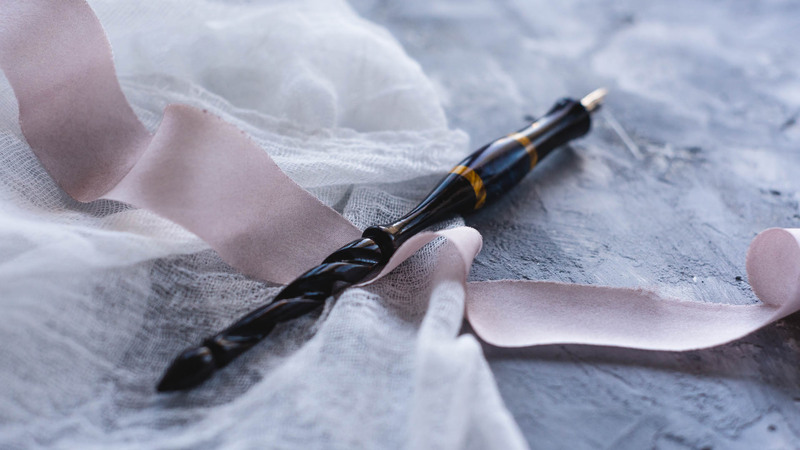 Talking to a pen maker and making sure that you are exactly on the same page is very important to make sure that both of you end up happy. When you want to custom order a pen, make sure you know the best way to reach them. 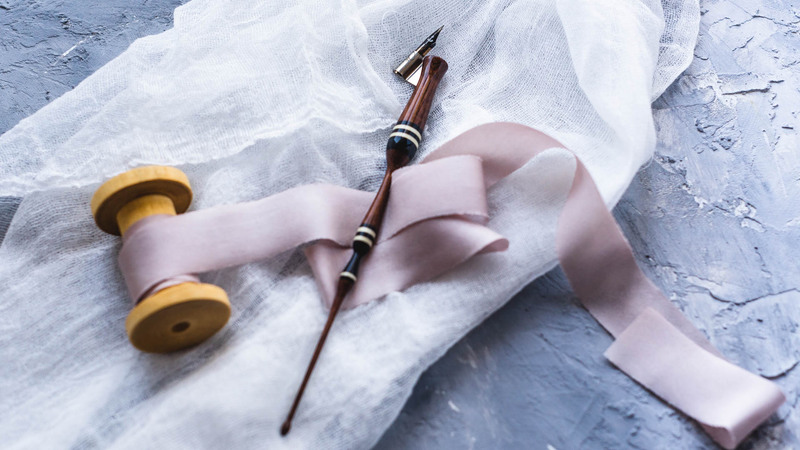 I personally find all the makers I want pens from on Instagram (because me and Etsy don’t get along and if I can avoid their platform and forgo any interaction with them I will do so). One of the most important things with having a good experience is research. Do your research of the maker you choose. Go look at their website. Look at their Social Media. Check if they want you to custom order via E-Mail or if they are fine with Sending DMs. Generally if you are dealing with bigger Instagram accounts, E-Mails are usually the better place because they don’t get buried so easily. If the maker doesn’t state an E-Mail try a DM and if they don’t reply on DM, try writing a comment asking for the best way to reach them. But do your research first, it is uncommon for a maker to not mention the best way to contact them (yes, I do also mean reading the comments they write on their own posts answering questions from other people that may not have researched before you). Once you know the best way to contact them, make sure you write the most complete message you can. Include all of your information of what you would like and do ask all of your questions. If you have a budget restriction, mention that. If you are unsure about materials or design choices, mention it. 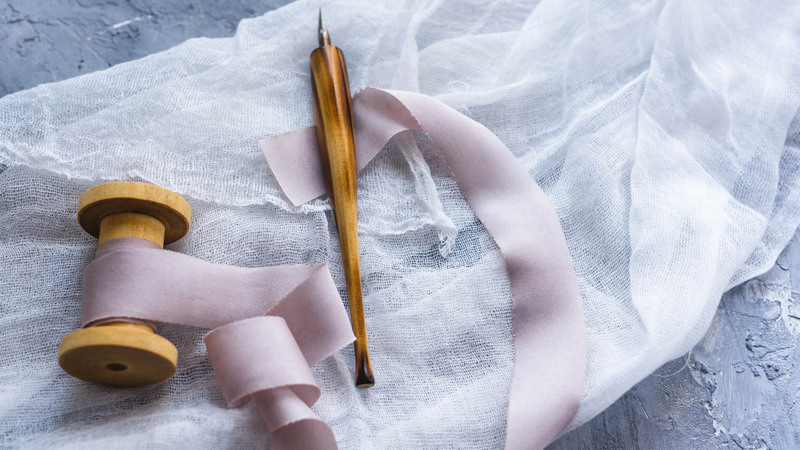 These people are probably as passionate about pen making as you are about Calligraphy. They usually love to help you make descicions and helping you figure out the best configuration for you. Listen to advice they give you. Sometimes, especially with custom orders, we might go a bit crazy. If the maker has experience of things going wrong listen to them. Mention if you live in a difficult climate or if you are paranoid about ferrules needing replacement. One of my personal favorite things to do when I do custom order pens is talk to the people I work with. I like knowing things about the people behind my pens. I like having connections to the person’s culture in my pens. Like I ordered this simple wooden pen from Mr. Sato of Garagewoodworkingjp that was finished using Shou sugi ban (焼杉板) which is a Japanese technique of charring wood. 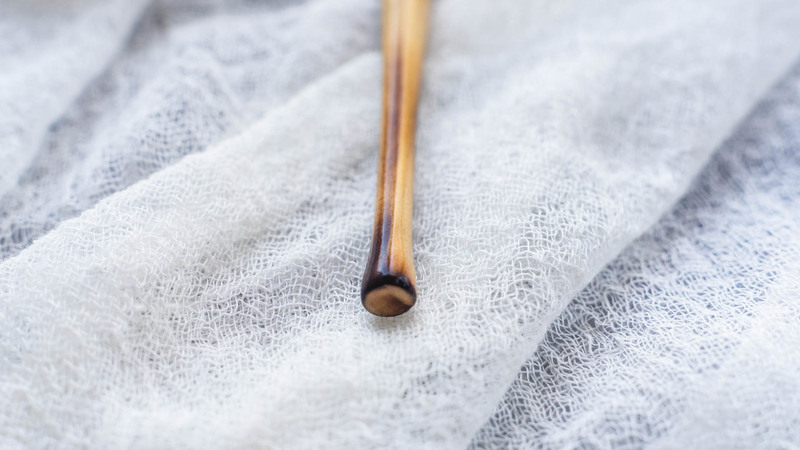 Having the pen come from japan made from Japanese wood finished with a Japanese technique feels more special to me than having a non-japanese maker do the same process. 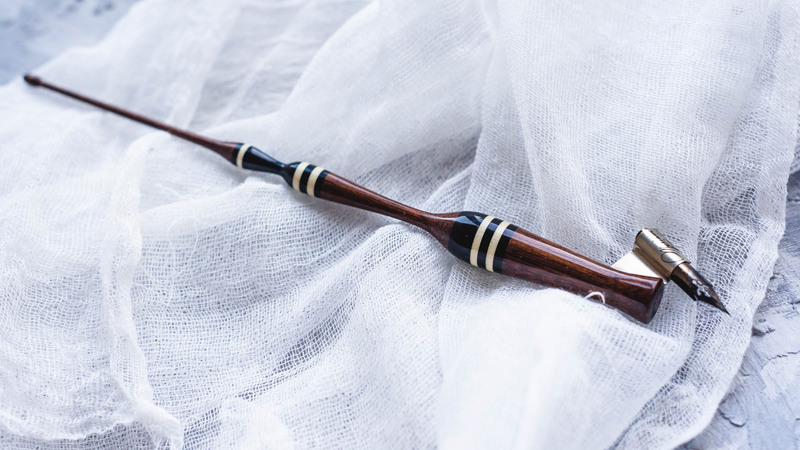 The Curious Artisan drew inspiration from historically hand-carved balustres in Filipino homes, paying tribute to her home country by featuring detailing in her shell inlay series. It’s those little things that make me appreciate the beauty of my holders more, because even if they didn’t originate in my imagination and were brought to life, they exist in cultural context and represent something. I still have more makers on my list to work with (the one I posted on my pen holder post got even more expanded), but so far I’ve had good ordering and pen using experiences with all of them, in chronological order of first order. This is my dreamed-up Pen. I wanted my first ever custom order to be from the first ever pen maker I stumbled over on Instagram and I wanted it to be 100% mine. I literally spent hours looking through Chris’ Gallery on his website, writing down all the woods I liked and picking up elements that spoke to me, then I combined all the things I wanted and Chris made them happen. 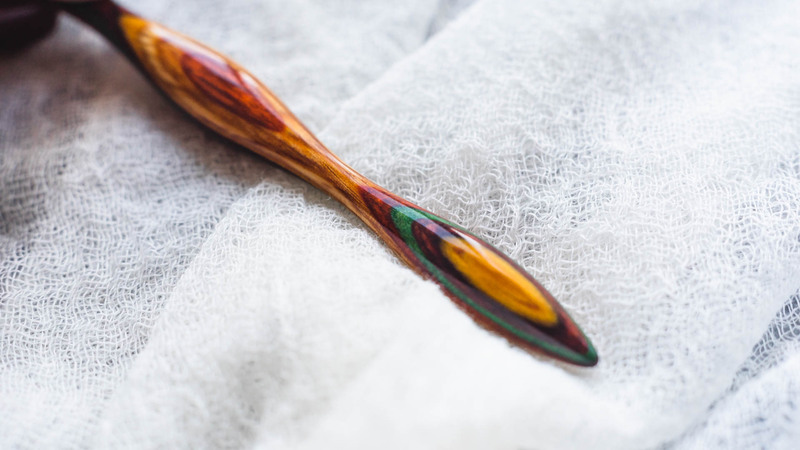 Dymondwood was made of birch impregnated with resin and laminated, to create this striped look. This is a very stable wood, but unfortunately the factory that produced it burned down and it is now very hard to find. There are other products that look similar around nowadays but many of those don’t have the same properties. Once I learned Chris’ supply was low I decided to order pen number 2 from him before I had even received number 1. For the design of this pen I gave Chris my grip specifications and asked for one of his signature shapes. Chris is your best address when looking for a historical pen replica because he actually owns the originals. The moment I realized that I was serious about wanting to learn Spencerian and that I wanted to use an Oblique Pen for that I knew I really wanted a Kelchner replica. This pen is usually very long with a super thin tail, I ordered mine a bit shorter though. I do not wish to own an eye-poker. Historically the stripes in this pen were actually painted on, but Chris is making them actual segments of wood. This ended up being my family’s present for my 24th Birthday and I love it. Also now that I finally got to custom order an oblique I also had it engraved with my name, because I could. My First ever handmade pen. Saw it on Etsy and instantly had to have it. I love how delicate this pen is and the material feels incredible. Definitely different than an acrylic. The thing I said when I first contacted Ali was basically I’d like any of your masterpiece, make it with a twist in the center and I adore it no matter what. I ended up getting two pens. 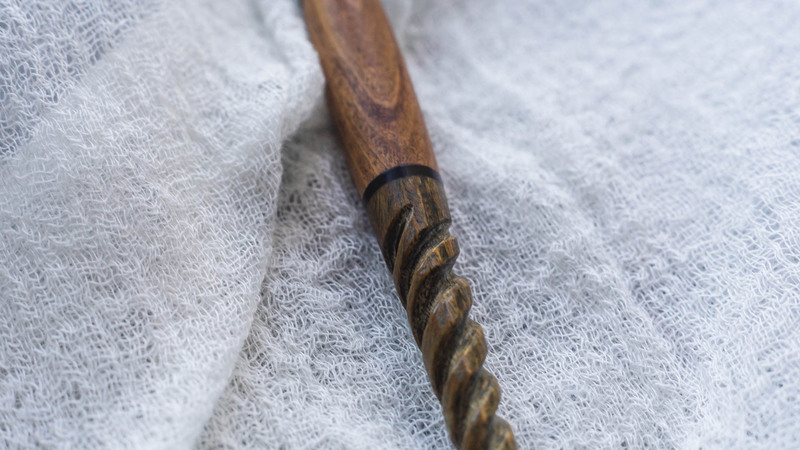 The back piece of this pen was already carved and Ali offered to add the twist in the center for me on this one. I still think this one might be the most photogenic of my pens. The second pen I got from Ali was a pen he made after we had a conversation, completely free on what he’d do. He asked me for colors I liked and I said dark mossy green. He then showed me a piece of rosewood that was unfinished and that had oxidized to a very deep dark green. If you look at my pen holder post you can see that back when I first received this pen that was left unfinished to react with the surrounding was really light, it’s starting to turn green and I absolutely love seeing it change with time! I chose one of Mustafa’s signature shapes and wanted it to be a clear pen. This one was a Birthday Gift to myself. Still a little sad that there are the cracks inside and a little cautious to change the nib, but I’m enjoying it still. I loved the pens Mr. Sato made for a while, most of my pens are quite ornate but I loved the idea of a simplistic pen. When I saw my Friend Karen (@karenscribbles) get a straight pen from Mr. Sato in the shape of a Baseball Bat I was absolutely in love with the look of it. Mr. Sato is a big Baseball Fan and fun fact – I am absolutely terrible at sports. All kinds. But when we placed Baseball once in high school (It’s not a common sport in Switzerland) I was actually the first in class to hit the ball. It only happened once for me and everyone else got better at hitting as the game went on, but I still remember being the first one to actually hit and probably shocking everyone that I didn’t fail at something sporty for once. The moment I saw this on Kestrel’s Feed I knew she had to make her husband turn me a straight holder. Inkmethis is generally making obliques, but if you contact them, they will make straight versions too, just ask. 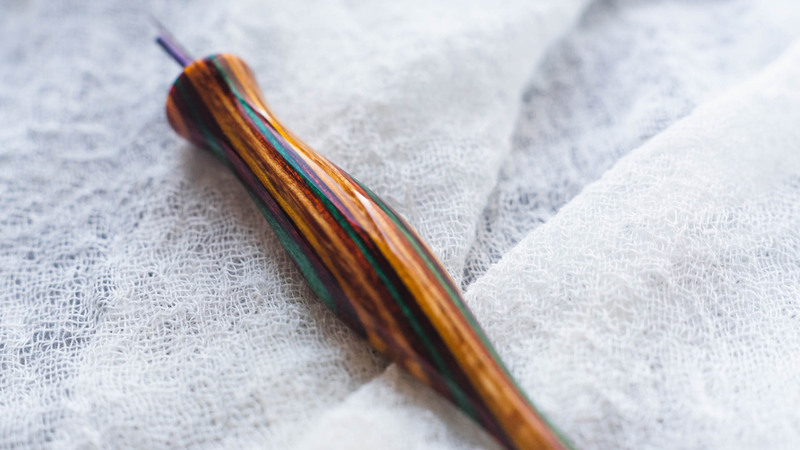 What I love about the InkMeThis holders is that they do have a very simple shape, but they are all made from custom resins hand-poured by a local Californian Artisan which makes these pens unique and fun. Ever since I first saw the shell inlay series on Lennie’s Feed I knew I had to have one. 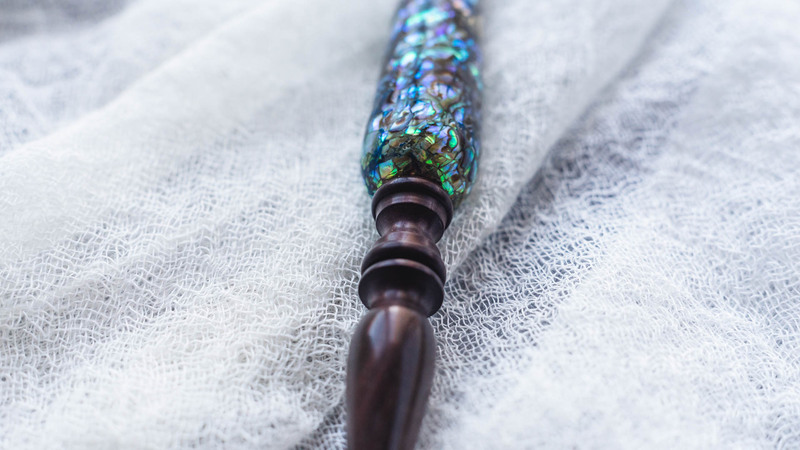 After a long time I finally decided to order a new holder and it is even more gorgeous in person because no picture can capture the way those shells look once you stare at them from different angles, always in awe of how they can be so many colors at once. 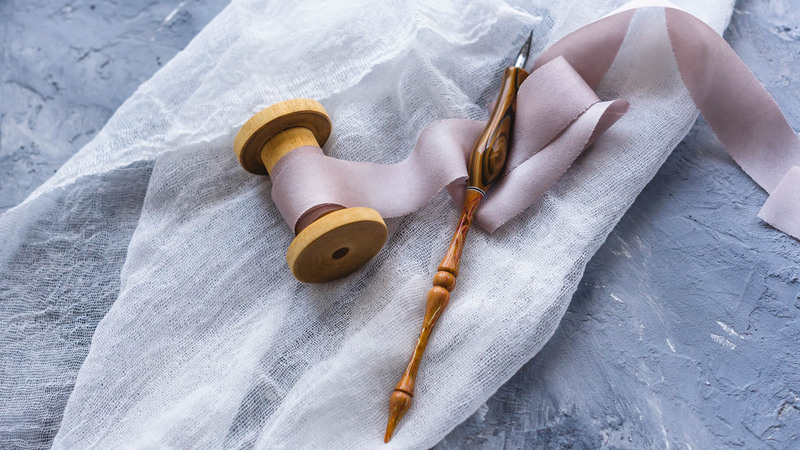 The world of handmade pens is endless and I absolutely love it. 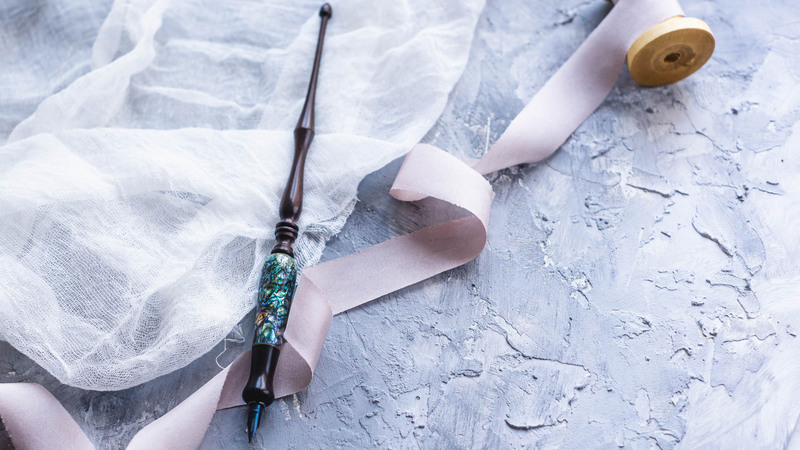 I love how different the processes are and how different the stories are that are connected to these little calligraphy magic wands. 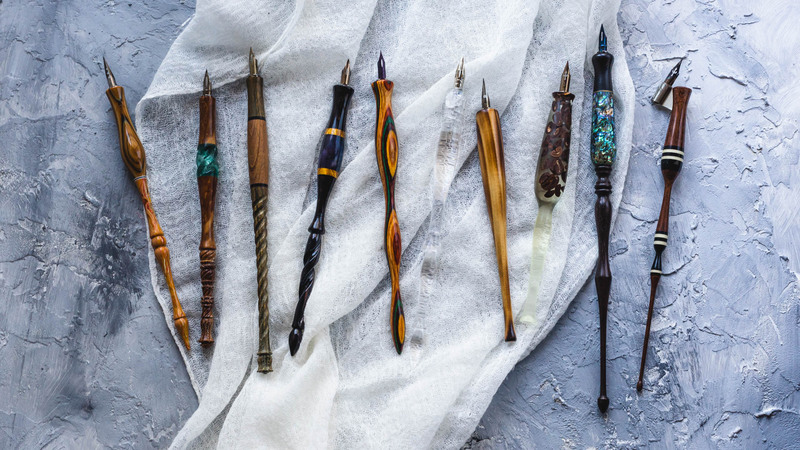 I hope this post gave all of you interested in the subject a bit of an insight into how these handmade pens can become part of your collection. None of these is less special or in any way inferior. 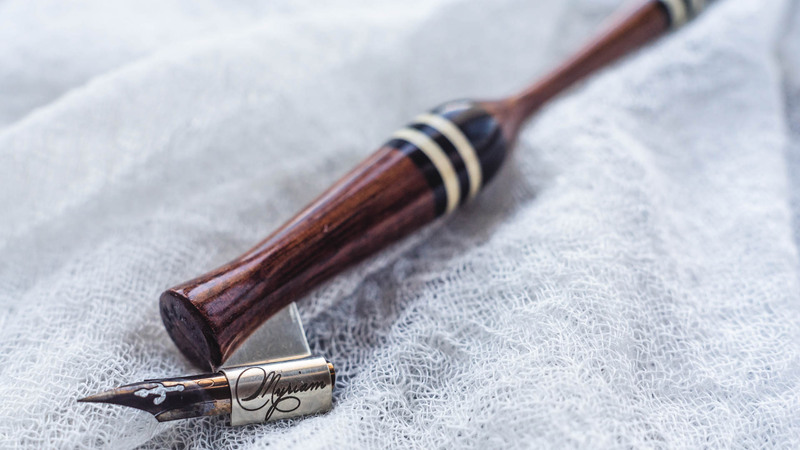 These processes are different and I believe that once you get into the whole collecting of holders thing you’ll be going through different processes with every pen and every maker that you work with. And that is part of the fun!